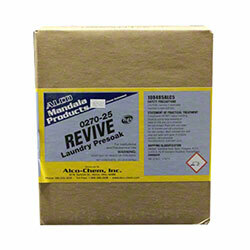 Alco Revive - Alco-Chem, Inc.
A powdered laundry detergent fortified with enzymes. Excellent removal of food soils and organic stains. Can also be used as a presoak.